Use our six-step process to bring category management best practices into your business. The online Category Management course replaces the two-day, face-to-face seminars that NACS and Impact 21 Group established and have facilitated since 2001. The combination of Impact 21 Group’s industry-specific content and RTO’s state of the art learning platform will provide an exceptional learning experience for all participants. This new platform also allows the program to be easily updated and refreshed, as new industry information becomes available. 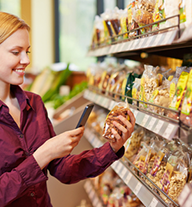 In a time when many retail channels are aggressively targeting the convenience oriented shopper, it is more critical than ever for the convenience operators to have the right product mix to meet the consumer needs. The Six Step Category Management Framework has been the gold standard for the convenience retail industry. Hundreds of retailers, suppliers, and other associated parties have attended the highly-acclaimed workshops around the country. Graduates of the Category Management Online Training course are eligible to become Certified Convenience Category Managers (CCCM), a designation of achievement awarded by NACS to individuals who commit to continuous professional development in the convenience industry as a category manager.